When I sent what I thought might be the final draft of my novel to Bernadette for an evaluation, it was in worse shape than I thought. Bernadette took the story apart, making many practical suggestions on how to bring it into sharper focus. How to re-think the characters and better define them and their motivations. She has an instinct for what works on the page, but, more important, what doesn’t work. I sat down to do a rewrite, armed with Bernadette’s in-depth report. This time I was aiming for clarity in the story, which meant, really, as she pointed out, taking the reader into consideration. Later, working from her edits when she’d proofed the novel, was yet another learning experience, but also a pleasure. I highly recommend Bernadette’s editing services. A writer anxious to take his or her book to the next level couldn’t do better than to contact Bernadette Kearns. Every writer has heard this said and knows the truth in it. But as a writer, it is not until you have to engage in that process that you realise how hard it is to achieve good editing. While there is certainly no silver bullet to make the task painless, having a good editor on your side is the difference between succeeding and only half-succeeding. A good editor is someone you can trust to get behind the scenes of your book’s secret world and help you pull open the curtain; someone who is willing to put careful eyes to your manuscript and never look up until it’s finished. Someone with the strength of character to tell you when you’ve gone wrong and yet maintain the generosity of spirit to accept your ownership of the artistic vision. Bernadette Kearns is a good editor. There are no books without editors. Every writer who ever attempted to review their own work understands this only too well. But a skilled editor like Bernadette Kearns brings a book into sharp focus. Her craft lies not only in meticulous attention to detail, but in her ability to get inside the story and the characters. This combination of skill and craft ensures an edit that completes a work. From my own personal experience of writing for children, Mary Wolftide would be half a story without Bernadette’s insightful editing. It was an absolute pleasure to work recently with Book Nanny on my middle grade chapter book, Cats Undercover. Bernadette was approachable, punctual and efficient and provided top-quality copy-editing and proofreading for my manuscript. I have already booked her in for my next project and I would have no reservations in recommending Bernadette to any authors or writers who need a professional eye on their work. I was apprehensive when I contacted Book Nanny with regards to editing my children’s story, Paint Attack at Sunnytree. Firstly, I was concerned that I would feel discouraged after the editing process, and, secondly, I was worried that an editor might to take the story in a direction that I hadn’t intended. Fortunately, neither of these things happened. After Bernadette completed a manuscript evaluation which pointed out some major structural problems with my story, I didn’t feel discouraged. In fact, it was quite the opposite. I felt strangely determined and excited about tackling the necessary changes. This is because, as well as addressing the problems, Bernadette also focused on what was working in the story. In addition, any changes that Bernadette suggested in both the manuscript evaluation and the structural line/copy-edit, she always gave valid reasons as to why they were necessary for either story or character development. I am fairly sure that the story or characters wouldn’t have developed in the way they did without her guidance. Overall, I would have no problems in recommending Book Nanny. I found her helpful, knowledgeable, and very encouraging, and, should the opportunity arise, I would definitely avail of her services in the future. Bernadette has become my new best friend. I’m fairly confident that I can write a good tale, but not so confident that I can use the correct grammar, or, indeed, use the right words in the right order. That’s where Bernadette came in, using her expertise to edit my book into something that I felt confident about putting out there. To say that Bernadette simply edits is doing her a disservice. She is so much more than that. She has a wonderful ability to understand the characters that have been created in my head. Her advice made me see the bigger picture and to understand how to improve my storytelling without compromising the style of genre I write. Bernadette doesn’t pull any punches, but her reasoning behind every comment is detailed and constructive. You will learn something from her, as well as getting a professional manuscript. I would not hesitate to work with Bernadette again and I would thoroughly recommend her to anyone who wants to improve as a writer. I worked with Bernadette when I self-published my first novel, The Cinderella Reflex (as Johanna Buchanan), and I can totally recommend her services. She did substantive/structural edits for me, which meant calling me out on my characters, motivation and the plot lines that led precisely nowhere. The book was a much better book because of her input. Perhaps it’s because of Bernadette’s background in drama, but she has a gift for characterisation. And, since weak characters are one of the worse flaws in any book, her perspective was invaluable. She’s kind, but tough too, which is what you need. We all have friends and family who will tell us we are wonderful – well, I hope we do! After listening to Bernadette’s advice, I had to go away and get to know my characters a lot better for my later drafts. 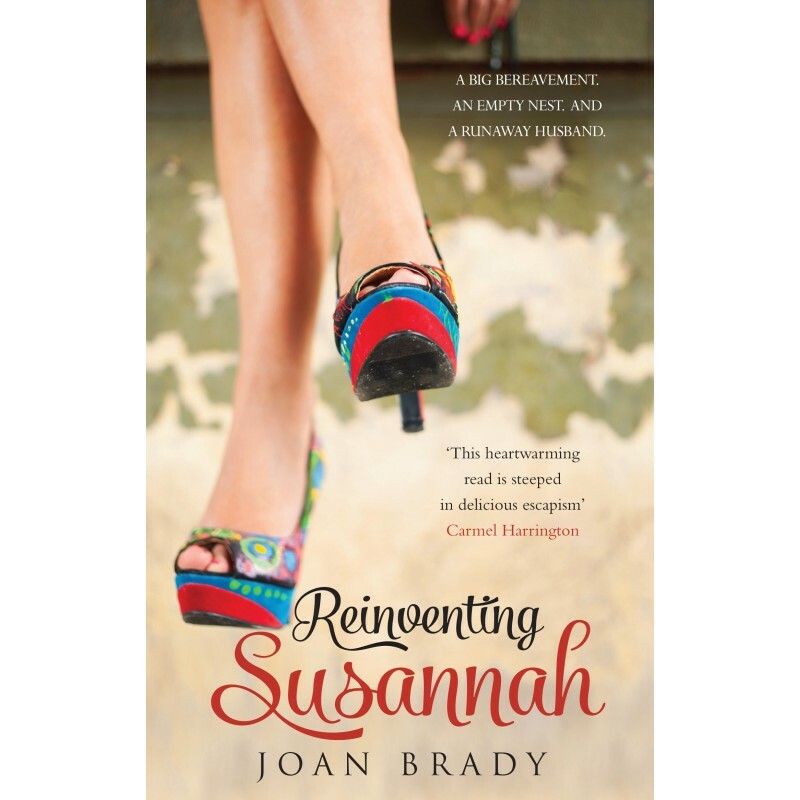 I also felt I had a better grasp of character and plot, which made it much easier when I started to write my second novel, Reinventing Susannah. Both novels have since been published by Poolbeg Press. I had the good fortune of meeting Bernadette Kearns at the Dalkey Creates festival a few years ago. She came on board as copy-editor of my book which I was trying to send out to literary agents at the time. What struck me about Bernadette in those first moments of speaking with her was her impeccable professionalism and sincerity. Since working with her, I could add to that list tenfold. She is an excellent editor: thorough, constructive, insightful and incredibly generous with her time. Most importantly for me, she supported me on my journey, shoring me up when my confidence flagged and when I was wondering if, after a string of rejection emails, I should throw in the towel. I cannot recommend Bernadette highly enough. She is a rare gem in this competitive literary world where sometimes it can feel like no one else cares. Bernadette really did. She cares about her writers. She takes interest in their journeys and it is largely due to her that I haven’t given up. It lurked digitally on my hard drive in a folder buried so deep, I hoped it would forget where it was. It sulked in a pile under my desk, harrumphing every time I started a new piece. It was ‘The Draft’: a chain around my neck for so long, now abandoned and unloved. And then one winter’s day, it simultaneously kicked me in the shin and dragged itself from Writing > Writing Bits > Drafts > Swimmers > Draft5 (damn, I used an adverb there, didn’t I?) The Draft glowered at me and I relented. I sent it away to Bernadette, in the hope she’d make more sense of it than I ever could. And she did: four pages of appreciation, insight and ideas, enough to make me think again; enough to let me read the opening lines and find some sense, reason and confidence in it all. If you have a sulking, vexing draft like mine, send it to Bernadette and stop ignoring it. You won’t regret it. To date, Bernadette has worked on three different novels and four competition submissions for me. I’m absolutely certain I would never have made the shortlist in three of those competitions without her. The most important thing about Bernadette is that everything she does gets you closer to what you wanted to do in the first place. Not what she or anyone else wants or thinks is best. She understands what you, as a writer, are trying to do, and adapts to fit your style, your genre, your goals and your story. The end result is that you are closest to the best of yourself that you can be. I trust her implicitly and have come to the point that I would never send anything anywhere without her. As a self-published author, I know that editing your novel before it goes out into the big world of readers is an important step. You’ve put in all those writing hours, bled your heart and soul into the words that sit between the covers of your novel. You want them to be the best that they can be. Since my first book, Summer Triangle, Bernadette has always been my first port of call – working her magic to help me get through those first early drafts. Bernadette’s also provided excellent workshops and editing work for writers attending Carousel Creates Writers’ Centre. Many of them have gone on to publish some excellent novels, short stories, blogs, websites and all things writerly with her help and guidance. I would encourage any writer to allow Book Nanny nurse and nurture their writing towards publication. Telling stories is in our DNA. It’s an Irish thing. Getting them down on paper can be a bit more challenging. Some years ago, high up in the Dublin mountains, I met Bernadette Kearns at a creative writing course. As a course facilitator, her depth of knowledge and her no-nonsense approach immediately struck me. We kept in touch and, over the years, I got to know and appreciate the range and quality of many of the writers she supports on an ongoing basis. Bernadette recently edited a short story for me. Within an agreed timeline and following lively exchanges, she guided and supported me to ensure my story reached its full potential. She also gave me something else: a strong sense of pride and confidence in my work. I will continue to work with Bernadette and would highly recommend her to others.